WAM's ocean-going canoe on the beach at Aur in June, 2015. The voyage was monitored by scientists. Director Alson Kelen surrounded by the enthusiastic 2016 WAM trainees and trainers. WAM's Binton Daniel and Isocker Anwel unloads local coconut logs to be used for various WAM products! WAM trainees during a classroom session! Life-lessons in an ever changing modern world! Welcome to the Waan Aelõñ in Majel (WAM) Program! 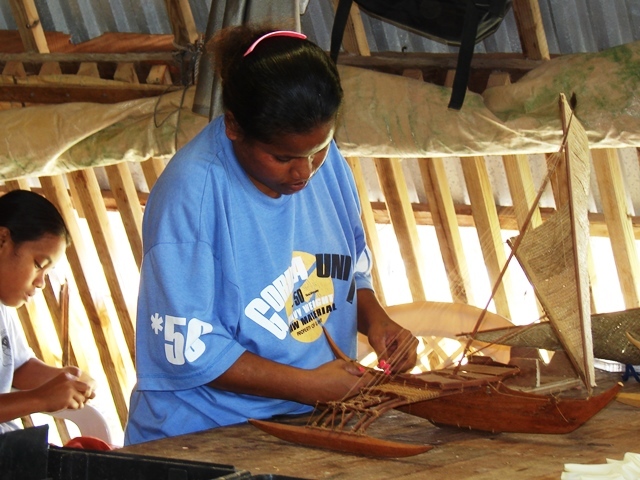 Our program is committed to empowering young Marshallese men and women by giving them the skills they need to move forward into a sustainable and happy future. The program is nearly 30 years young and plans to be around for another 30! Join the fun of sailing on a traditional marshallese canoe. 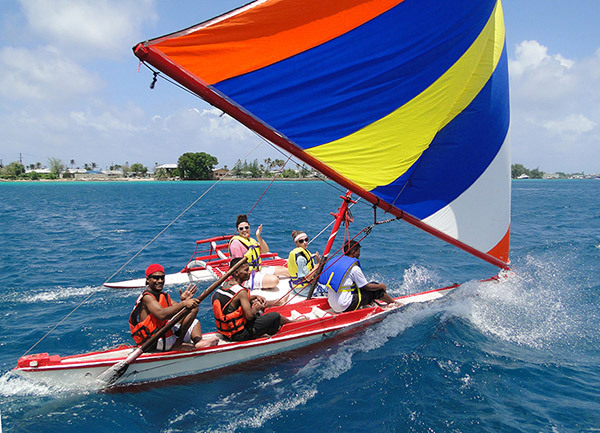 Click to learn more and reserve the ride of your life on Majuro lagoon! Intricate model canoes of all sizes; elegant but strong coconut graters; historic stick charts … all these and more can be found in the WAM Catalog. All the products are hand-made by the carpentry instructors and the trainees. All profits go back into the WAM program, making it a win-win situation for you and for WAM. 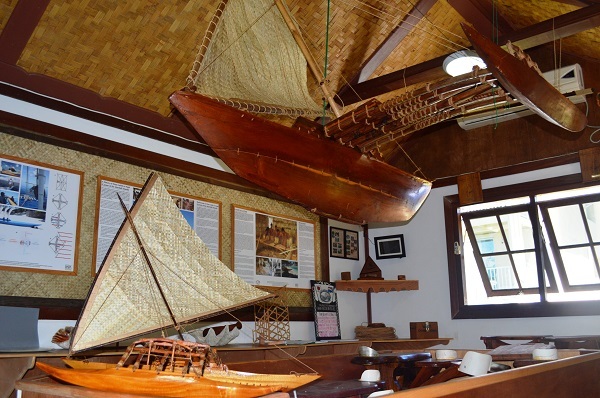 Showcasing Marshallese canoes and their history, the Waan Aelon in Majel’s Visitors Center is open during business hours, Monday to Friday. Call us on 625-6123 or stop by our office upstairs in the two-story building next to the A-frame Canoe House. If you would like to support our work, we welcome donations of any amount, which help us buy tools and material for the trainees.